Arriving in Bali can often be somewhat overwhelming. For those newbies to Bali or even those people that have been to Bali many times before the arrival area at Denpasar airport can only be described as ordered chaos. Hundreds of signs are waving at you with names of people and hotels or villas. It’s mayhem, hot, crowded and the noise can be quite extreme. Remember, this is Bali and not Australia or New Zealand so it’s not like back home where everyone waits their turn in line. You have to take it in your stride and just enjoy the circus that’s unfolding in front of you. Many travellers unfortunately will not have arranged any prior pick up and will be left standing there trying to negotiate for a taxi or transport to their villa. This is the last thing they need after a long flight & in some cases spending a considerable amount of time clearing immigration. 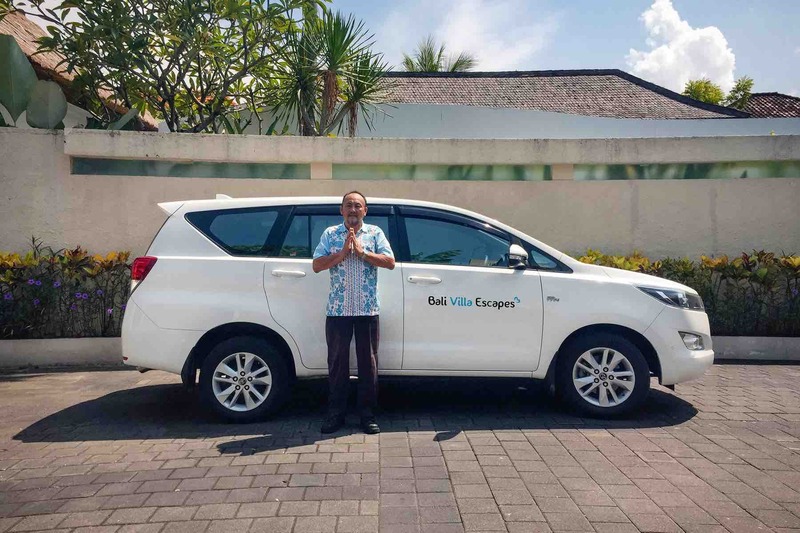 Luckily at Bali Villa Escapes we offer free airport pick up with all our Bali villa rentals. This means that we will have someone there waiting for you at the airport to take you straight to your villa in a comfortable fully air conditioned car. Yes, this does mean that you will have to read all the signs but at least you have the comfort and security knowing that there is a friendly face there waiting for you, We will also have your phone number and flight details so we will know when you have landed. If we haven’t been able to connect with you we will call you and let you know where we are standing. So basically, don’t stress, take it easy and we will find you really quickly. Yes, we all can see from the video that it is chaotic but trust us when we tell you that we will find you. We also recommend that prior to exiting the airport you do change some of your money to the local Rupiah. The best currency exchange is on the right hand side as soon as you clear the immigration area. Change a couple of hundred dollars just enough to get you past the first few days. Once you at the villa and settled in there are generally ATM’s nearby if you need the extra cash. Our driver will take all your bags and put them in a fully air-conditioned van that’s comfortable. Now, depending on where your staying in Bali and on the time of your arrival the trip to your villa should be no more than 45-60 minutes. Most of our guests are either renting a Seminyak villa or a villa in Legian or Bewara which means that you should be unpacked and ready to take your first swim all within a couple of hours. Now this is great customer service!! If you are travelling with other groups or have family members arriving at different times of the day please ask us about multiple airport pick ups and what, if any, costs are associated with this. You reservation team member will have all the information you need regarding this.